By Personalizing Your 2018 Power Mantra & Creating a Dynamic Vision Board. This time of year everyone is choosing a word that will inspire them for a whole year. We created this mini course to make it easy and fun for you to design your power mantra and vision board for 2018. In two short modules we will guide through the shark infested waters of overwhelm. First, you will look at different areas of your life and find words that express the experiences you want. Then we help you narrow down those words to one Power Mantra. Once you have firmed on your Power Mantra we will create a custom Mantra Mandala for you. Second we give you fun and exciting ways to design and innovate your vision board. In the end you will have enticing images to go with your 2018 Power Mantra. 2018 is your year, start it off in a new colorful way! 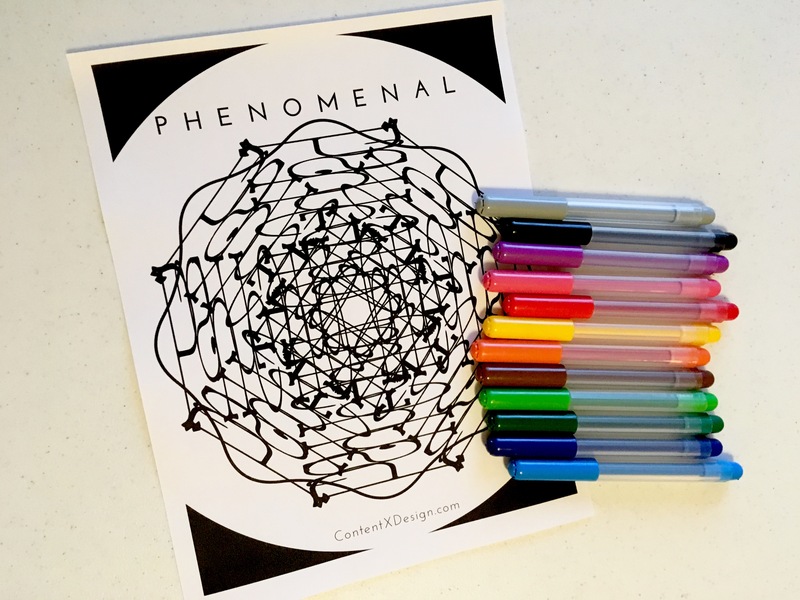 Download, print, and color these sheets to help you focus & power up anytime. Also join our private Facebook Community and share your Power Mantra creations. Download and color your way through your goals. It's like a Gold Star for Adults. Journal the things you want to see and experience with this downloadable two page journal. And it's a magical $20.18!